When life gets difficult, it can be hard to know where to turn. Finding the right person to listen and not judge can feel almost impossible. I am an experienced UKCP-registered psychotherapist and counsellor offering relaxed and confidential individual psychotherapy in Ealing, West London. There is no one-size-fits-all approach to therapy and my approach varies to suit individuals. My aim is to be alongside you as you explore your experience. I am committed to a culturally-sensitive and ethical way of working. Appointments are available throughout the week including some evenings and Saturday. 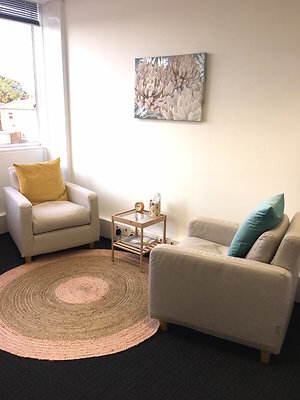 My psychotherapy & counselling practice is in central Ealing and easily accessible from most areas of West London, including Hanwell, Acton, Greenford, Brentford, Chiswick and Shepherds Bush. Being able to speak freely and be heard by another person can provide powerful relief from unbearable feelings. By providing a warm, collaborative and non-judgemental environment, psychotherapy can also increase self-understanding and suggest possibilities for personal change. I would normally see you at the same time each week for a 50-minute session, either for a fixed number of sessions or on an open-ended basis. Some flexibility is available by arrangement for freelancers and shift workers. A session costs £65. Seeking professional help may feel like a big step. If you would to talk to me about the psychotherapy and counselling I offer, please get in touch. I am registered as a integrative psychotherapist with the UKCP (United Kingdom Council for Psychotherapy) and the BACP (British Association for Counselling and Psychotherapy). As an integrative psychotherapist, I draw on several different ideas and theories (including psychodynamic, humanistic and CBT), working collaboratively with you to find new perspectives, and creative solutions to your difficulties. My psychotherapy & counselling practice is based at Aurora (Spaces), 71-75 Uxbridge Road, London W5 5SL. The building is near the town hall on the main A4020 through Ealing, and 8-10 minutes walk from Ealing Broadway. It is extremely well connected by train, underground and bus to many areas of West London, including Shepherds Bush, Acton, Chiswick, Hanwell, Greenford and Southall. Bus routes (there is a stop directly outside) include 207, 483 and 427. Please get in touch and I can arrange to phone you back - free of charge - to help you decide if psychotherapy with me might suit you. For fees and other practical matters please see FAQ.